This site is for a professional bodyworkers with pages for Clinic work, Injectables, Classes, Laser Therapy, and more. 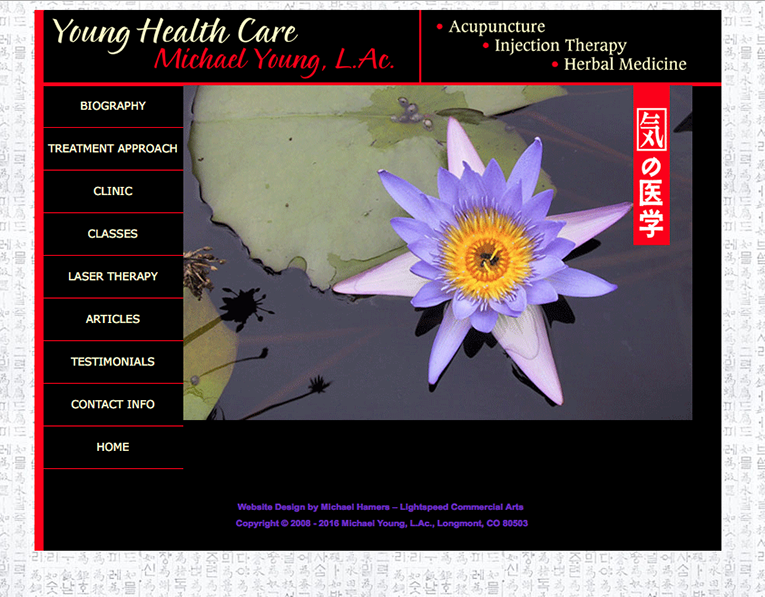 Michael first practiced as a licensed acupuncturist in California and is currently licensed to practice in Colorado. He received his National Certification in 1990. In 1993 Michael moved to Boulder, Colorado to join an integrated clinic where Medical Doctors and Alternative and Complementary health care providers worked in cooperation. In 2002 he opened a private practice in Longmont, CO. He’s been a Full Professor at Southwest Acupuncture College in Boulder since 1997.